Sheesham and Lotus & 'Son » Hello Netherlands! Howdy Folks! Sheesham, Lotus and ‘Son are very excited to be on tour in the Netherlands. 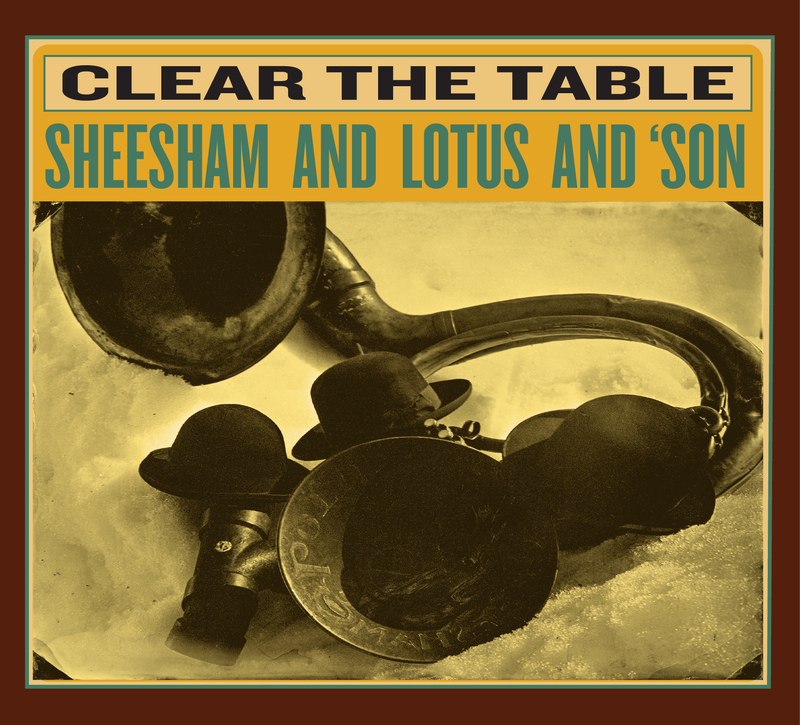 We have returned to release our latest album entitled Clear the Table. The new disc caught it’s name during an after show party at the Patronaat in Haarlem two years ago. There was much merry making and when it came down to it we cleared the very robustly built table and danced away until the sun arose the next day. The album includes tunes ranging from the 1930’s back to the early days of banjo in the 1840’s with Rumsey’s jig. There is plenty of harmonica and some full throttle singing on numbers like Darling Cora. Henry Whitter’s Raincrow Bill rocks the joint. Lotus smooths things out with Jelly Roll Morton’s Michigan Water and then Sheesham tells of love lost and heartbreak, broken dreams and dangerous living. We are looking forward to seeing you all out having a big old time with us in the coming weeks! Our schedule is posted here on the website so have a look and come on out! Previous post: We have a NEW ALBUM!